The legacy of Supreme Court Justice Scalia. Senator Lee's reaction to President Trump's Supreme Court Justice nominee Neil Gorsuch. Qualities that make a good judge. Concerned Veterans for America (CVA) held this tele-town hall to discuss their support for confirming Judge Neil Gorsuch into the Supreme Court. 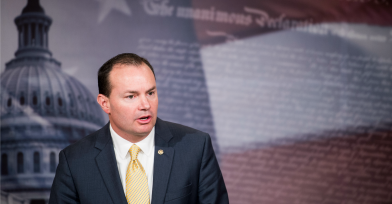 The event featured Utah Senator Mike Lee, a long-time advocate of the rule of law and the Constitution. CVA Executive Director Mark Lucas, an Army ranger, spoke with Sen. Lee about the future of the Supreme Court and why veterans care so deeply about confirming Judge Neil Gorsuch. They mentioned that Judge Gorsuch is very much like Justice Scalia as far as being an originalist and talked about the need to know that whoever replaces Justice Scalia’s seat in the Supreme Court will uphold the Constitution as written. Senator Mike Lee mentioned that he is confident Judge Neil Gorsuch takes careful consideration when it comes to respecting the rule of law, and that he is of exceptional intelligence and remarkable integrity.